Introduction: I think this book is nice. I love the way it was written, and being a non-Muslim who haven't been to Turkey, I think Vida was able to give me a definite picture of what I'll find should one day I'll have a chance to visit the place. The story kept me wondering what's gonna happen to Yvonne - all alone and fragile in a place filled with memories of the happy times she spent with her late-husband. Overview: Twenty-eight years ago, Peter and Yvonne honeymooned in the beautiful coastal village of DatÇa, Turkey. Now Yvonne is a widow, her twin children grown. Hoping to immerse herself in memories of a happier time—as well as sand and sea—Yvonne returns to DatÇa. But her plans for a restorative week in Turkey are quickly complicated. Instead of comforting her, her memories begin to trouble her. Her vacation rental's landlord and his bold, intriguing wife—who share a curious marital arrangement—become constant uninvited visitors, in and out of the house. My Opinion: I love the idea behind this book about how Yvonne decides on going back to the place where she and her late husband honeymooned in order to remember how it was that time. I think that's very brave. Some people would choose to forget, but she chose to remember the feelings and hold on to the memories they bring. 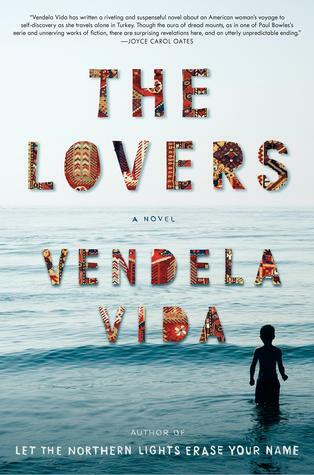 I also love the truth that Vida showed about the people that her protagonist met in that foreign land - the culture, the art, the practices - both the positive and the negative... its all new to me. Its very informative. Although there are a lot of things I dont approve - like the use of heavy metaphors when the story can be fine without it? And often times I get disappointed by the passivity of the story. At one point, it became very boring and I cant even empathize anymore with the relationships she made with people... to Ozlem or even to Ahmet. Its simply lacking connection - or maybe it is made to be like that? Anyway, this book may not appeal to everyone, and trust me - I fought my urge to abandon this book countless times, but I have to say - in all fairness to the author, this is one of the books I read that is nicely written.